$36.00, $56.00, $96.00. A $3.00 facility fee applies per ticket. Resale is strictly prohibited for this event. 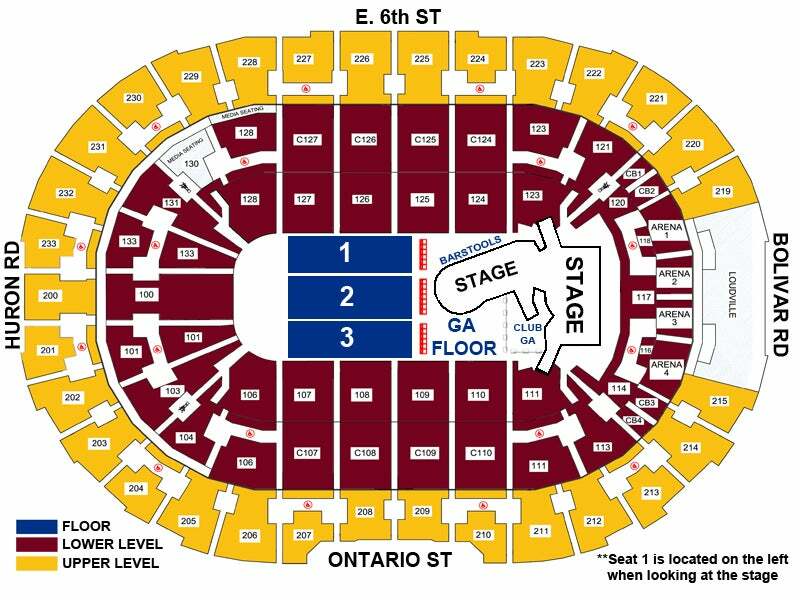 Tickets can also be purchased at the Quicken Loans Arena Box Office using the Flash Seats method of delivery. This is a mobile-only tour, therefore, tickets will not be available at Discount Drug Mart. Guests that have Rocket Mortgage FieldHouse specific parking passes (Cleveland Cavaliers, Cleveland Gladiators, Cleveland Monsters or Rocket Mortgage FieldHouse Events) the Gateway East Garage will begin accepting Flash Seat parking three hours* prior to the start of the event. Please be sure to print and bring your Flash Seat traffic assist form and place in your vehicle’s dashboard. PLEASE NOTE: When there is a duel event at Rocket Mortgage FieldHouse and Progressive Field (Cleveland Indians game), the Gateway East Garage will ONLY accept parking passes purchased in advance.